A full-service paint contractor, Superior Paint and Remodeling is your preferred choice for all your commercial or residential painting needs. Serving the greater Northeast Texas & Shreveport Louisiana region since 1997, we proudly combine an exemplary work ethic with a total commitment to our clients. Fenwick's Custom Painting has been painting residential homes for over 20 years in the East Texas area. We remodel bath and kitchen or anything inside your home. 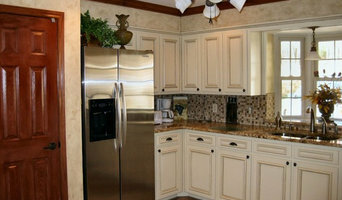 We have a design center where you can come in and pick out your cabinets, countertops, floor etc. Full Kitchen & Bathroom Remodel. Turn Key Project with a Lowe's Guarantee! 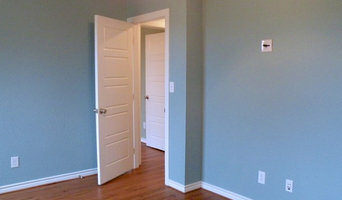 Paul's Painting is a local painting and construction company based in Longview, Texas. We service the greater East Texas area such as Tyler, Marshall, Gilmer, Gladewater, Hallsville and the surrounding areas. With a little over 20 years experience in the industry, we train and promote our employees to best help the client meet his or her specific needs. Whether it is a commercial or residential project, we offer free estimates and consultations to help guide our clients through the process for a smooth arrival of a finished project! 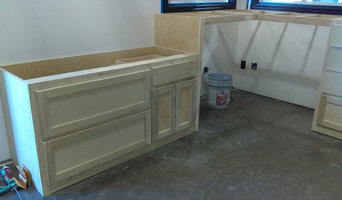 Our services consist of custom cabinets, vanities, granite fabrication and installation. We also have a showroom coming soon for granite! All plywood constructed box (no particle board or masonite). The cabinet ends, shelves and backs in our cabinets are the same color plywood. Competitors use as many as three different types of wood in cabinet boxes (plywood or particle board, masonite, and white pine). This results in three different colors. Millwood Cabinets premium boxes are constructed of all plywood (premium). We offer a standard grade particle board box as an economy line. Premium Grade boxes have 1/4" plywood backs. Standard grade boxes have 1/8" masonite backs. Top Grade Materials. We use the best grade (FAS or equivilant) materials available for making face frames, drawer fronts, and doors for cabinets in our best efforts to insure even and matching color for a better finish. Many competitors use second and third grade materials. These grades have dark and light materials and even knots making it impossible to get a good finished look. Amerock fully-concealed four-way adjustable hinges. Standard on our cabinets. No nail or staple holes in face frames. We glue and fasten each cabinet to the face frame from the back. There are no staple or nail holes to putty and stain. Competitors fasten all face frames to boxes from the front leaving unsightly nail and staple holes that have to be filled and stained. Dadoed top & bottom shelves and end panels. We dado all top and bottom shelves and end panels into face frames. Glue is inserted into the dado and then fastened from the back with fasteners. This insures strength and stability. Most competitors do not dado end panels into face frames. They eliminate that step and nail face frames directly to the box. Half shelves on base cabinets. We install a half shelf in every base cabinet giving the user more versatility and visibility. Almost all competitors install a full shelf in bases and vanities. This causes poor visibility and poor usage.